Welcome to Day 16, if you are just arriving for the first time all the details and the linkup can be found HERE. 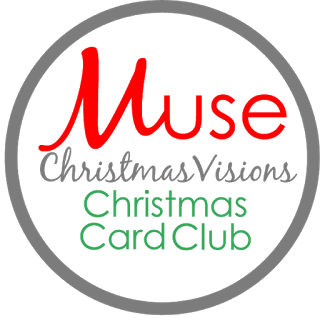 Today our sponsor and guest is Muse Christmas Visions! If you are not familiar with MCV you are in for a real treat, year round Christmas inspiration and challenges. Muse Christmas Visions is offering to one lucky winner a $25 Gift Certificate to any one of the stores sponsoring The 25 Days of Christmas Tags 2016! 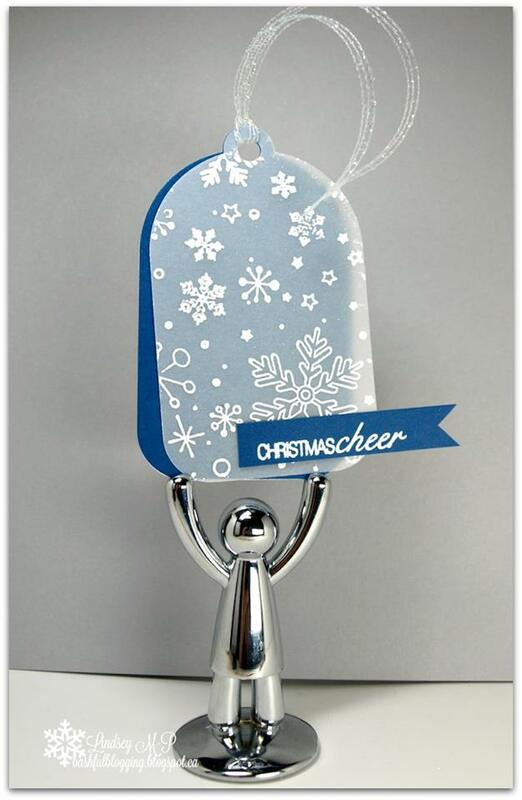 Also be sure to visit Muse Christmas Vision because there is another surprise offering over there! 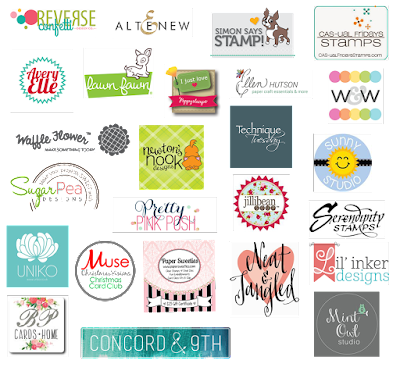 There are so many ways for you to get multiple chances to win--by following the blog hop each day and commenting on the posts or by participating and making tags of your own. Comment and tell me what inspired you from today's post for your chance to win a prize from one of our amazing sponsors. The MAIN event blog post is where you will find the participate to win link up! The 25 Days of Christmas Tags 2016 Pinterest board is live and updated every day with all the inspiration from the event! So many beauties to choose from (as always). 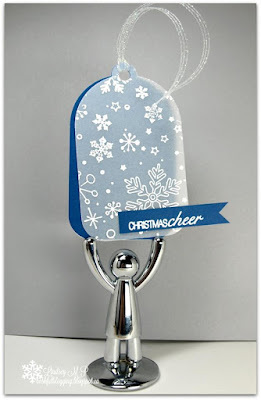 I'm opting for the white and silver colour combination tag today... only because I haven't made one like this yet! 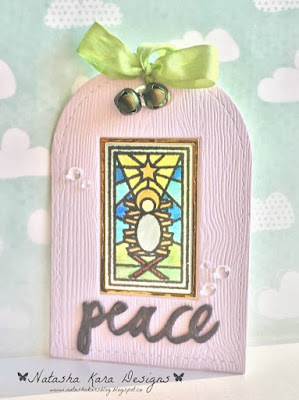 Love your tags, Tracey, and they have inspired me to try vellum on mine. 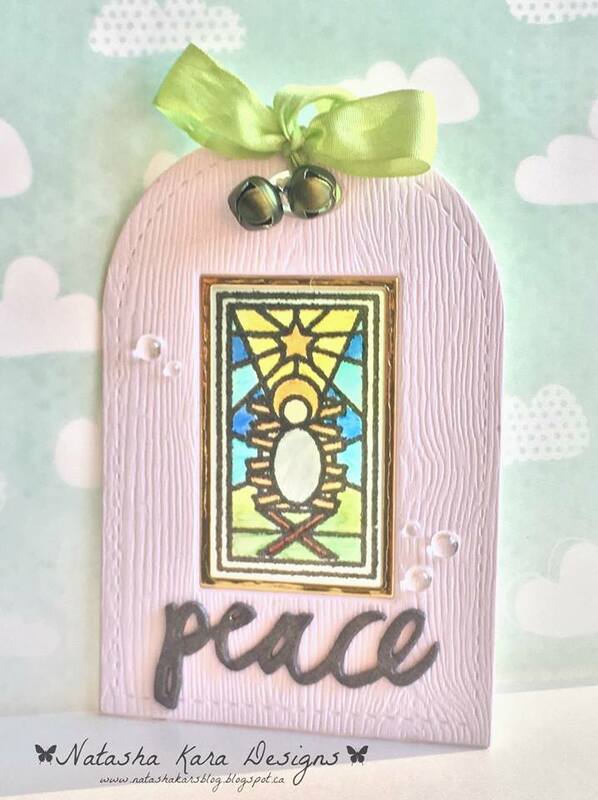 So many lovely tags - I am definitely feeling the "vellum" love in so many of them, including your 2 lovelies, Tracey. These again, are ALL beautiful tags, I am especially inspired by Chriss's gold one. Great work by everyone! Beautiful collection of festive holiday tags...love them all! So beautiful! I love all the gold and silver! I love your tags with the vellum pointsettias. Such pretty inspiration you all have for us today! Tracey, I love the vellum poinsettias!! 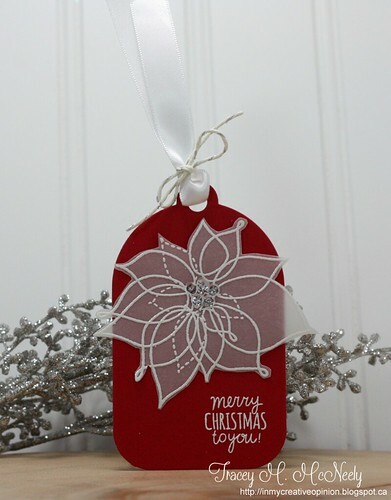 I love how the white vellum poinsettia pops against the red tag! These are all so pretty! 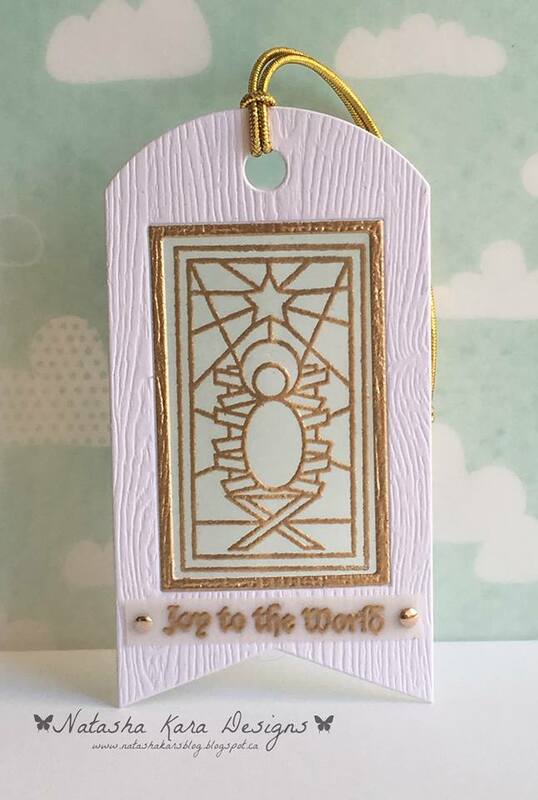 Love Stephanie's tag...so clean and festive! 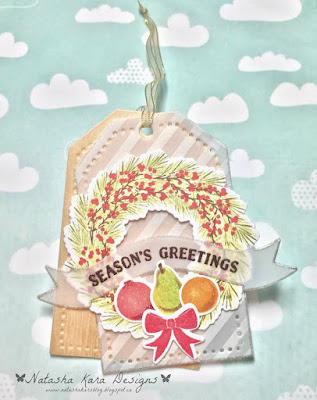 Beautiful holiday tags! I especially love the manger scene and poinsettia! Gorgeous tags! 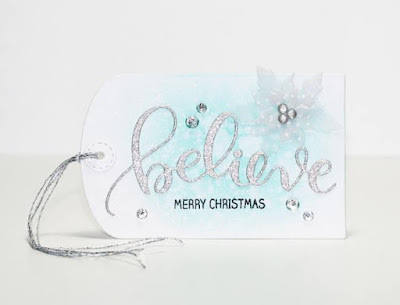 I love the embossing on vellum technique that several of the designers used! So pretty! Your tags are so pretty, Tracey! I love how gorgeous that stamped vellum looks! I am new to MCV! 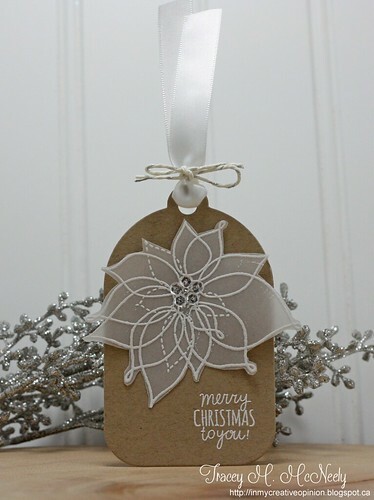 Lovely tags today... the vellum poinsettia is fabulous! Very elegant look! Beautiful --love the use of vellum. I like the poinsettia tags and the baby Jesus tags. I love your white embossed poinsettias on vellum...stunning! These are so beautiful! Love all of the metallic embossing I'm seeing! I'm sure you know that I adore vellum ... I may have to play, and will have no trouble finding inspiration 'round here! Tracey, I LOve your poinsettia!!! could be my favorite tag of all! 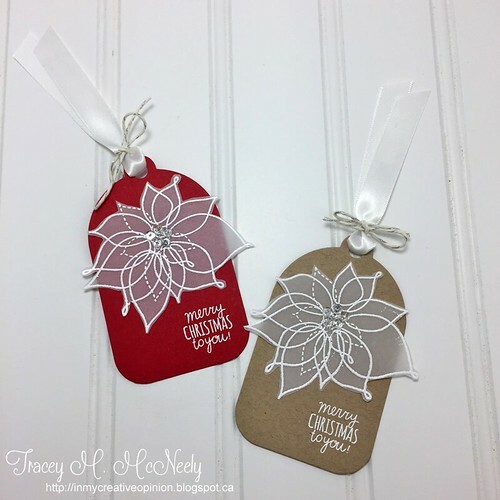 your vellum poinsettia tags are my favorites today Tracey!! So thrilled to be today's sponsor, my friend! Love your tags! 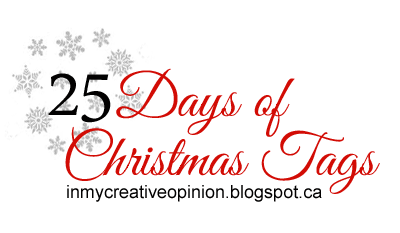 I am inspired by those pretty poinsettias embossed in white on vellum. LOVE that look so much! Love the vellum look - the poinsettia is gorgeous! Loads more of beautiful inspiration! And those vellum poinsettias of yours...SWOON!!! Oh I love these tags today. Stephanie has really inspired me to create a horizontal tag. 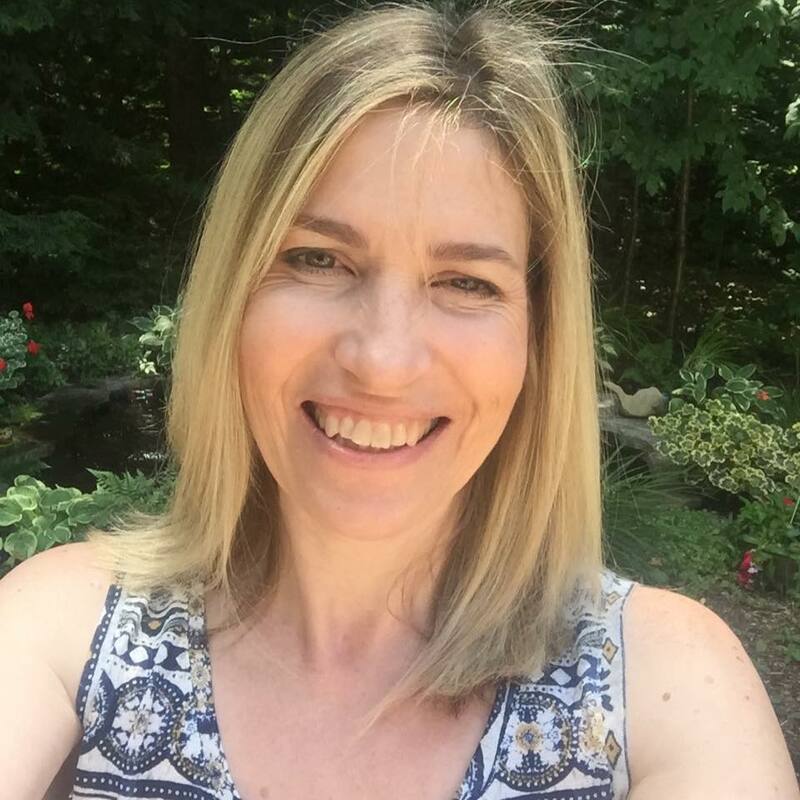 Love the look of your tags, Tracey--so elegant & beautiful! Lots of elegance in today's post--wonderful inspiration! Love the vellum on the poinsettias. Love your pretty vellum poinsettias! Love your tags with baubles. 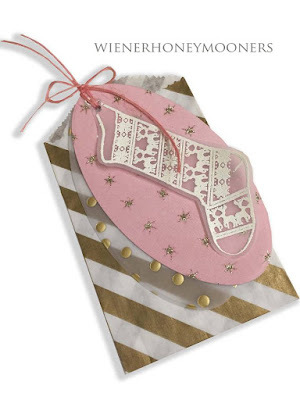 OMG -- I love vellum, and all the ways these tags use vellum are fabulous. I've got to CASE these designs. 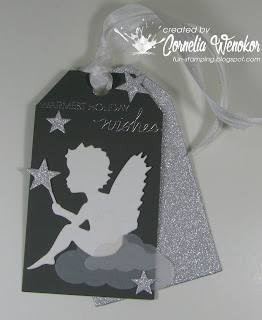 Gorgeouse tags, I love the use of vellum here. Embossed vellum. I'm loving it! Really gorgeous tags today. I especially love your vellum flowers. Amazing! 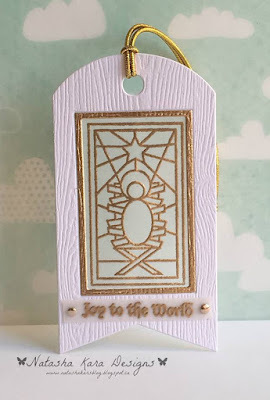 I'm really loving all the vellum on these tags, I have to say that your tags have inspired me today, they are just gorgeous. Thanks for another great day of tags. 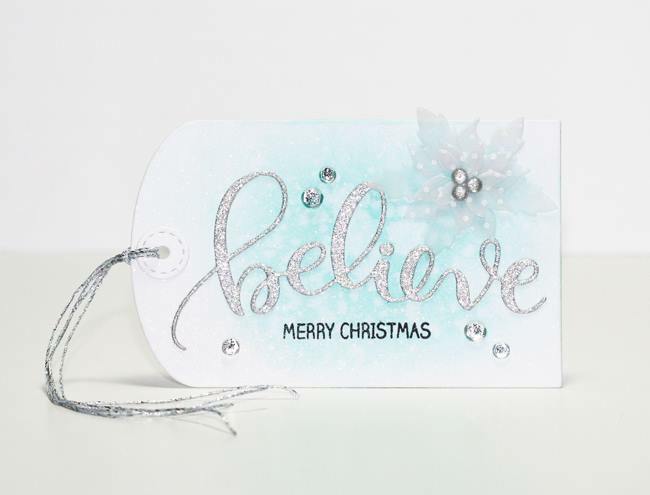 Such gorgeous and elegant tags all around, love the use of vellum! wow! such pretty tags and i love love love the use of vellum on them. WOW.. they are adorable and beautiful! 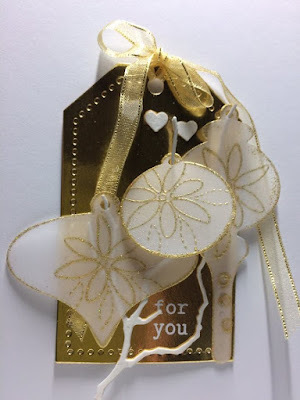 The use of vellum on tags inspire me today! WOW! So... omg... your vellum poinsettias are beautiful!! Another day of beautiful inspiration! Thanks again! Wow! I love so much your tags!!! I like in particular way how you used vellum! Your vellum Poinsettias are GORGEOUS, Tracey! So elegant, and I love the shape of this tag! I adore the look of poinsettias stamped in white on vellum. Such an elegant look to them. I love the delicate look of the vellum! I love the tag with a wreath - so beautiful. Love the use of the vellum! Tracey!! your tags are breathtaking!!!!! LOOOOOOVVVVVVEEEEE!!!! Wow too much to choose from here. Love the idea of vellum but absolutely loving this new flower stamp that qquite a few of you have used, embossed in white on red so beautiful. I LOVE your vellum poinsettia, Tracey, just gorgeous and so elegant! Everyone has fabulous tags today! I especially like your vellum poinsettias, Tracey! Love the big believe sentiment tag. I see white stamping on vellum on several tags here. White on vellum is always a beautiful choice. Such beautiful tags!! Love the use of vellum! I'm very much inspired to use vellum! Oh my..... the vellum layering is just beautiful! !